Gov. Bevin filed an executive order on July 17, setting into motion broad reorganizations to 11 education boards and councils. Since then, other orders have been issued relating to internal structural changes to offices within the department of education. The governor is expected to issue additional orders covering, among other things, the appointments of individuals to these boards and councils. Here are five key takeaways from executive order 2018-581. 2. This is not the first time Bevin has reorganized Kentucky’s education boards by executive order. In the past, governors have routinely used this process in a variety of ways, including Bevin, who reorganized some of these same boards and councils last year. ( See KRS 12.028) The General Assembly did not codify into law the changes proposed by that 2017 order during the last session, so it would have expired had it not been for the new July 17 order. 3. 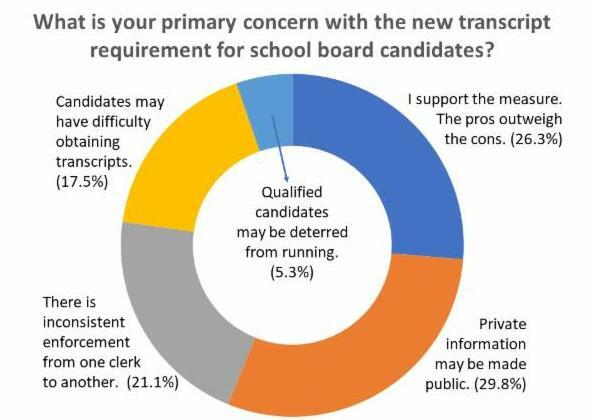 Membership on some of the affected boards will change significantly. For example, under the order, the Center for School Safety board will now include several additional members with law enforcement backgrounds, while eliminating representatives of local school faculty and members recommended by the Kentucky School Boards Association, Kentucky Association of School Administrators, Kentucky Education Association, Kentucky Education Support Personnel Association and the Kentucky Association of School Councils. 4. The Council for Community Education was abolished completely, transferring its responsibilities to the Kentucky Board of Education. 5. Bevin’s prior reorganization order is still being litigated. The executive order from 2017, which affected many of these same boards and councils, is the subject of ongoing litigation filed by the attorney general. The lawsuit is now before the Kentucky Supreme Court as Case No. 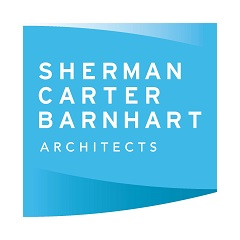 2017-SC-647, and the outcome of this litigation may impact this current reorganization plan – and, potentially, the law relating to all reorganization orders. 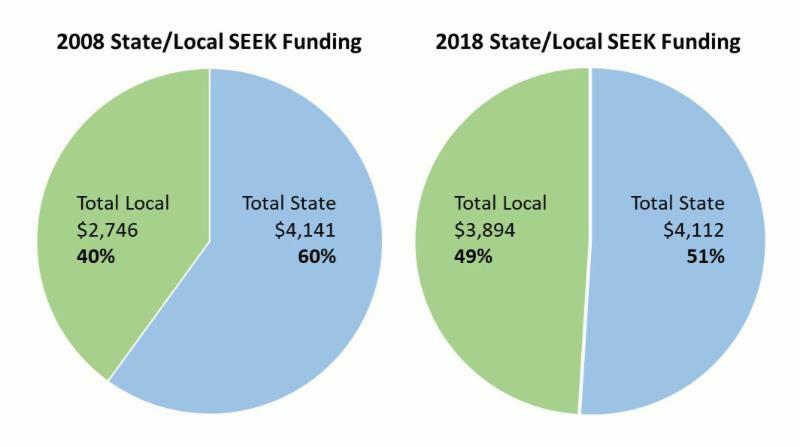 The Center for Better Education has released district reports on historical SEEK funding trends, both in actual dollars and adjusted for inflation, showing the burden shift from the state to local communities. The CBE finds that, since 2008, the local funding share has risen from 40 percent to 49 percent. The statewide findings include a series of charts examining per-pupil spending. The group also has provided separate reports on individual school districts. 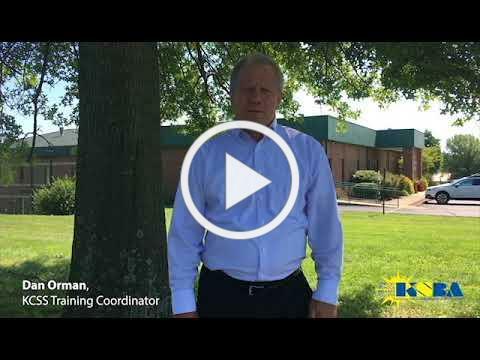 In the video link below, Dan Orman, Training Coordinator for the Kentucky Center for School Safety, discusses the importance of effective communications following changes to school safety plans and procedures. If you have a school safety question you would liked answered, submit your question to us and it may be used in a future edition of KSBA Aware . It’s not exactly trading places, but certified staff in Pendleton County Schools are getting an opportunity to better understand low-income students through a program that simulates poverty, a bus tour of the county and a book study. During the simulation, staff members will be assigned a different role and family. They will receive a card detailing who their family members are, what kind of employment they have and their salary if they are employed. The simulation will take participants through a four-week span compressed into 15-minute segments with typical expenses and events to see if the staff members can get by for the month. Pendleton County administrators participated in a poverty simulation at Newport Independent and decided the program would benefit their district. Throughout the year, staff will do a book study of Eric Jensen’s Poor Students, Rich Teaching: Mindsets for Change. Pugh said Jensen outlines “strategies that teachers can use in their classroom to deal with some of these students who are maybe coming to school with that kind of stress on their plates and be able to relate to them better. If you’ve heard the term but aren’t quite sure what it means, check out this article in the July-August issue of the Kentucky School Advocate. Find out why leaders in the Frankfort Independent district are hopeful the approach will help surmount learning barriers among students there, and then read more about trauma-informed care in an interview with a researcher at the University of Kentucky Center on Trauma and Children. The Centers for Disease Control and Prevention has information on adverse childhood experiences, including their effects, a national study and other resources. The Center on Trauma and Children at University of Kentucky provides resources and training, including video resources through Fayette and Pulaski county school districts for caregivers of children who have experienced a traumatic event. What school safety topic are you most interested in learning more about? 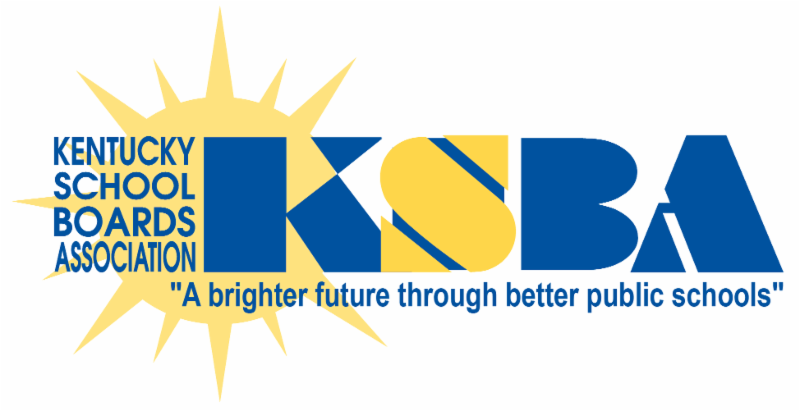 ﻿Following a retreat meeting on Aug. 1 at the Kentucky Chamber of Commerce offices, the Kentucky Board of Education will hold its next regular meeting Aug. 2. The meeting will take place at the Kentucky Department of Education at the state education department. The Aug. 2 meeting will be webcast live. A working agenda for the regular meeting has been posted online. Read about this and more in the latest edition of the Policy Connection. 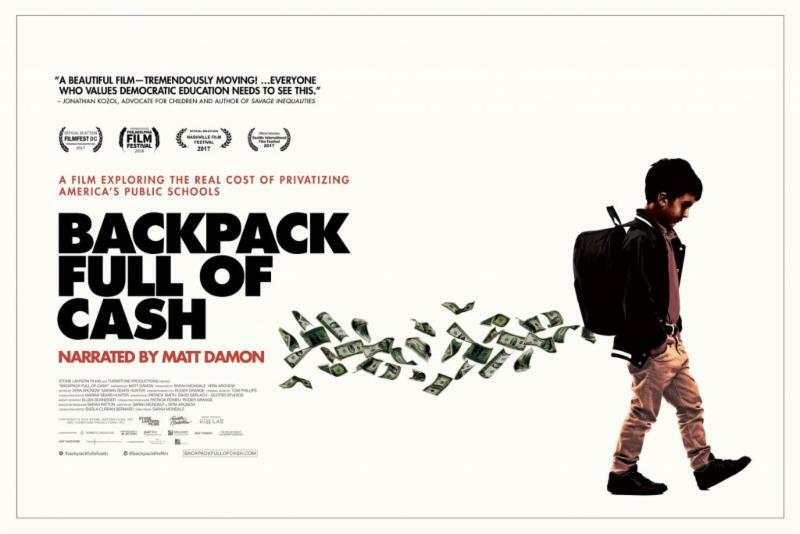 The #OurJCPS coalition is sponsoring two screenings of the recently released film Backpack Full of Cash. KSBA is not affiliated with this event, but some of our members may find the subject matter of interest. View the trailer and film information. The screening is free and open to the public, but attendees must reserve tickets in advance. Free admission to the Science Center will be granted to attendees following the film.